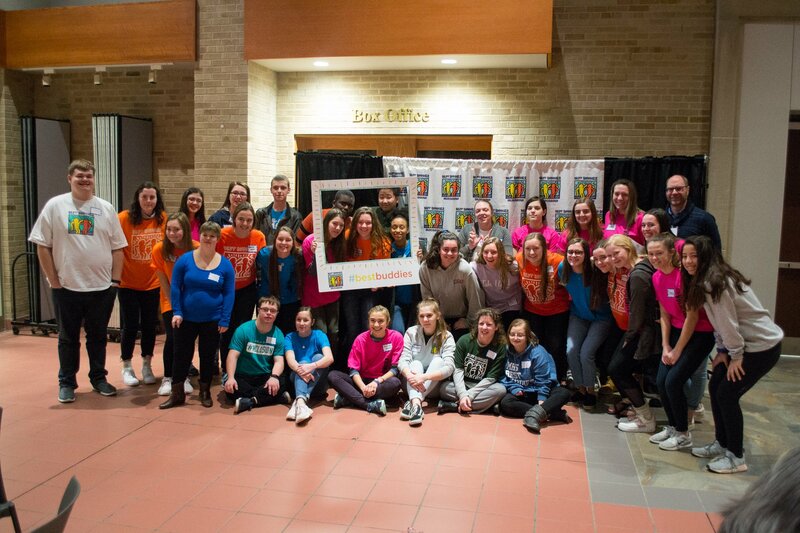 On January 12, 2019, nearly 200 Best Buddies student leaders, faculty advisors, and parents came together for our annual Project: Inclusion event at Divine Savior Holy Angels High School. This year’s event featured an advanced ambassador training, guest speakers, and workshops focused on the ideas of disability awareness, inclusion, and leadership development. Through team building and idea sharing, chapter leaders left Project: Inclusion feeling inspired and reinvigorated! The morning opened with attendees listening to our keynote speaker: Damian Buchman. Damian Buchman is a serial social entrepreneur and innovator. He is the founder of The Ability Center, Wisconsin Adaptive Sports Association, the RampUpMKE movement, and programs such as Discover Ability Open Gym and Adaptive Scholastic Athletic Program. A 2011 winner of Marquette’s business plan completion and a 2017 winner of the Milwaukee Business Journal’s 40 under 40, Damian prides himself on honoring his survivorship and changing the game. His energy was infectious. He pushed students to think about how they can “disrupt” the social norm and create meaningful change in their community on behalf of people with disabilities. He shared what it takes to be a leader and to push to reach your goals. Most importantly, Damian proved how you should never judge someone based on looks because some disabilities are invisible. He has survived cancer twice with over 30 surgeries, 22 of which were knee replacements, leaving him with a physical disability you often don’t see. Motivated by Damian’s insight and story, students and parents broke out into their sessions. Missy Burback, Financial Planner for Northwestern Mutual, and Sumeeta Krishnaney, attorney at Law at Petrie and Pettit who focuses on special needs planning, spoke about financial planning for people with IDD. And David Corneliuson spoke to students about the global disability movement from his travels to Africa. 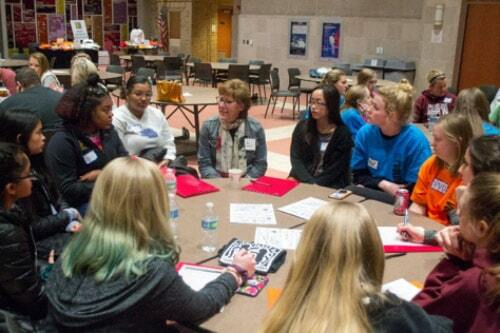 Project: Inclusion also featured a World Café session where all participants engaged in a conversation to build upon their role in Best Buddies and the disability rights movement. Students also had the opportunity to learn about the new Spread the Word of Inclusion campaign. Additionally, 10 Ambassador participants from chapters across the state attended our advanced Ambassador training. Ambassadors worked one-on-one with speech coaches to edit their message and practice their presentation skills. Ambassadors were able to showcase their speeches by presenting to the entire audience during the closing session of the event! Thank you so much to everyone who attended! Together we are able to continue the mission of Best Buddies and see inclusion in our communities. This event could not have been possible without the generous support of our event sponsors: Divine Savior Holy Angels High School, Racine Danish Kringle, Starbucks (124th & Capitol), Collectivo Coffee Roasters, Chick-fil-a, Pepsico, and Sam’s Club. Visit our Facebook Photo Album for more pictures of Project: Inclusion 2019.